Small companies often make the mistake of trying to save money on IT Support by outsourcing their IT service needs to a company on call for when problems occur. Unfortunately, although their intention is to save money on costly IT repairs and upgrades, many companies don’t realize that they will likely pay much more than they originally estimated as a result of additional fees and downtime. In addition, utilizing this model often results in companies falling short of their goals in terms of smoothly functioning IT services. The Break-Fix model of outsourcing IT Support is often used by small companies who are closely monitoring their IT expenses. The theory is that while IT Support is necessary, their company will only pay an hourly rate with a designated provider when an IT problem arises at their office. In this way, the company will only pay when IT assistance is needed as opposed to the high cost of a designated IT expert or team in house. Similarly, using an IT company with a flat-rate fee structure seems too expensive, especially if they believe their business IT costs and needs won’t be too substantial. Hourly IT service companies will do what is necessary to fix an immediate problem, but will not provide your company with the necessary attention to your IT infrastructure or to preventative and monitoring services that can ensure many problems don’t occur. Without a stable IT infrastructure and monitoring and preventative maintenance, many problems will result and service disruptions will follow. 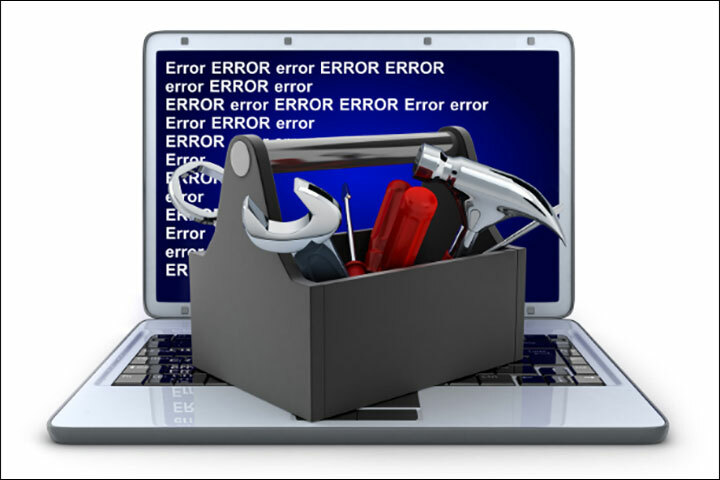 Consequently, your company will likely suffer from ineffective IT equipment and solutions and expensive downtime. Hourly IT service companies have no incentive to fix a problem rapidly. While an hourly IT service company may be competent, they have no time incentive to resolve an issue quickly. They will often take their time completing tasks, as the longer it takes to clear up a service call, the more revenue they earn. Hourly IT service companies will often charge overtime and extra fees for resolving issues at inconvenient times and using multiple technicians. Hourly IT service companies often fit your service call into their schedule as opposed to yours. Your company is rarely a priority, as there is no incentive for them to fix your problems ahead of any other customer. Attention to building a solid IT infrastructure, comprehensive monitoring, and preventative maintenance are all included in one price. These services will keep your system protected and updated and ensure many IT issues will never arise. IT Support companies offering flat-rate fees are proactive not reactive because they are incentivized to keep their service calls to a minimum. When your IT systems are operating at a high level with minimum disruptions it is a win-win situation for your company and your IT service provider. No extra cost for the use of back-end systems to monitor and back-up your IT systems. This ensures that your company’s critical data is protected and that your company can quickly resume operations in the event of a natural disaster or other business disruption. On call service desk and onsite assistance for issues of any size 24/7/365. You never have to worry about contacting your IT Support provider in this model, as IT problems and concerns of all types are covered in your monthly fee. Network Depot, for example, hires only extremely qualified help desk personnel and service engineers to respond to your requests, as we want the problem to be handled as efficiently and painlessly as possible. You will never feel rushed or overcharged as your provider’s technicians do their job. They will work as long as necessary to make sure your problems are resolved to your satisfaction without any extra fees. IT Support companies using the flat-rate fee structure will often work closely with your company in regular IT strategy sessions to recommend new equipment and software that will improve your operations. They will work closely with you as a partner to make sure your IT operations are running as efficiently as possible. A virtual Chief Information Officer or VCIO will be available to your company to provide expert consultation on all IT issues and strategy. A fixed monthly IT budget simplifies your accounting process and allows you to easily forecast your monthly, quarterly, and annual IT expenses. By making the smart investment in using a proven IT Support provider like Network Depot with a flat-rate fee structure and talented personnel, your company can enjoy a wide range of long-term benefits and avoid the negative results associated with the short-sighted Break-Fix model. For questions about a comprehensive Flat-Rate Fee IT support plan and any other IT-related issues, please contact us here at Network Depot.